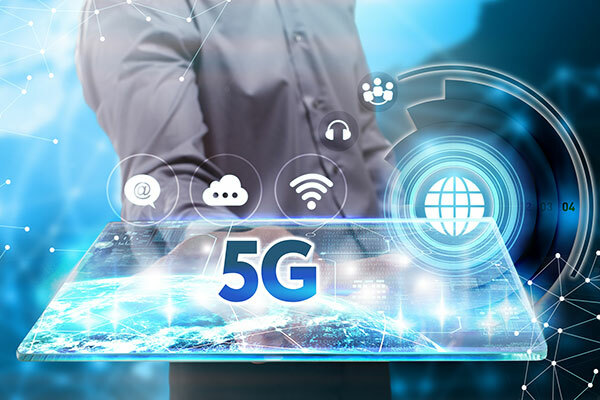 5G could generate almost $270 billion for the regional ICT sector in the next decade, according to new research conducted by ICT leader Huawei in partnership with Analysys Mason, a global consulting and research firm. Titled “Unlocking Digital Opportunities with 5G”, the White Paper takes a deep look at the impact 5G will have in the GCC, comparing the country readiness of five different markets with key international benchmarks, and makes recommendations on how operators and governments can capitalize on the technology. The data leaves no doubt that investing in 5G is worthwhile: in the GCC alone, 5G will provide a cumulative new revenue opportunity over ten years totalling $269 billion, with about 50 per cent of this addressable by operators, and the rest by other ICT players. To arrive at this sum, Analysis Mason and Huawei identified the top fifty use cases for 5G, splitting them into short-term and long-term. For the first phase, enhanced Mobile Broadband (eMBB), connected health, connected cars and smart city applications were the most common sectors to be at the centre of the 5G business plan. After that, robotics and drones, VR and transportation move into the top priorities, along with continued enhancement of MBB. Overall, VR for on-demand video streaming and VR for 4K/8K live video streaming use cases have the most potential to profit operators in the region. The research finds that the GCC is well poised to deploy 5G, with the UAE in particular being the most 5G-ready country in the region. In order to strengthen this position, the Whitepaper calls for collaboration between operators and vertical industries. Those operators which develop close relationships with the industry sectors, such as enterprise and healthcare to trial projects, will be first to unlock profit from 5G. The paper was unveiled at the 5G Ecosystem Conference hosted by Huawei on the sidelines of the 3rd annual Middle East Innovation Day in Dubai, UAE. Under the theme “5G is Now, Sailing to New eMBB Horizons,” the conference promoted a 5G Ecosystem in the Middle East by bringing together operators, regulatory agencies, industry leaders and other stakeholders to discuss 5G from a business, policy, and industry perspective. Opening the conference, Bocar BA, CEO, Samena Telecommunications Council said: “Samena Council is engaged and working closely with Huawei, telecom operators, governments’ regulatory authorities and international organizations to create the enabling environment for the development of the 5G ecosystem. Tariq Al Awadhi, executive director Spectrum Affairs, UAE TRA, said: “Our stakeholders have been the key success. They have brought the knowledge and the expertise together to help us succeed in our endeavours." “Investing in 5G is thus an economic and social imperative. Today’s 5G Ecosystem Conference is part of our effort to map out the industry blueprint for a fully connected, intelligent world driven by ICT. Our goal at Huawei is to provide strategic insight – and foresight – to our partners in both the public and private sectors, so that together we can navigate the Digital Transformation journey seamlessly, in an integrated and profitable manner. “As a major telecommunication solutions supplier, Huawei has setup strategic partnership in 5G areas with carriers, and signed six 5G commercial contracts in the Middle East out of 18 globally. In 2018, Huawei has formed a series of strategic partnerships with telecommunication operators in Kuwait, and has accomplished some significant 5G progress in the country,” he added.